If you had asked me to write an itinerary fora single day in Osaka, Osaka Aquarium Kaiyukan (海遊館) would not have been my first choice; I do not have much of an affinity with the ocean, there are castles and lots and lots of shopping streets to visit and the aquarium is fairly out of the way, geographically speaking. PROTIP: You can buy an Osaka Kaiyu Ticket for 2400円 for an entry ticket into the aquarium and unlimited rides in most of Osaka's internal transport for a day. The ticket is adorable to boot~ If you're going from Namba station, you need to go all the way to the end (near the shops) for the ticket office. Ask someone at the station. The place is laid out in a spiral formation, centered around a massive, eight-floor tank containing all manner of whale sharks, stingrays and smaller sharks. You slowly work your way down through different themed 'environments', starting with an indoor rainforest canopy and eventually ending up in Antarctica. 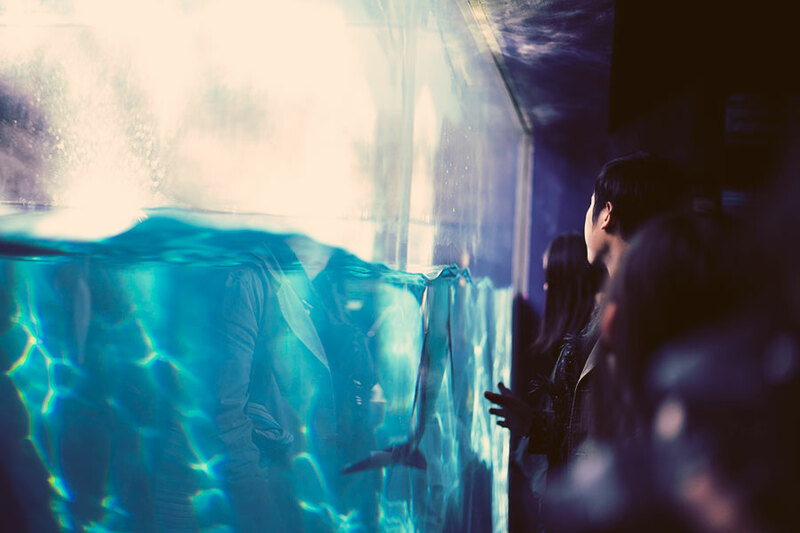 All the tanks are at least several stories high and really imitated the sense of the ocean environment's continuity because you were watching the same animals at different depths of water and different species of animals interacting with one another. Favourite animals - the 'blimp seals' as I christened them. Because really. I've never seen such fat seals my entire life, just lazily floating about and descending down to boop lazily against the glass ceiling of the Antarctica room.